We’ve been dealing with RH Witt since 2001 when Albert showed up at 11pm to get our AC working the night we moved in from New Jersey. He came back later that week to fix the root cause and we’ve had a service contract ever since. We just replaced our 20+ year old system and did not even think of bidding it out. John S. designed a Carrier solution that gave us back two zones at high efficiency. Installation started on time, went like clockwork and we hardly noticed. John also did all the paperwork for energy rebates and has done a great job of training us to operate the system to full benefit. This is a professional organization who know their field, products and stand by their work. As a service contractor they are super responsive. Thank you … my furnace went out several days ago. I had a tech provided by Home Depot from ARS Rescue Rooter come out yesterday. He quoted me $6,000 plus. There is no way I could afford that. I called my contractor and wonderful friend Lowell Pate and today your tech Marty came. God bless him … he changed the two AAA batteries on the wall unit and I have heat. He would not accept anything and it is so refreshing to find honesty and go from $6,000 plus to ZERO. Please know when the time comes the only call I will make is to you. Also, Priscella was a joy to talk with and to set up the appointment. You have spectacular employees. Thank you! You were part of the team that renovated the Ragdale Barnhouse which was recently awarded a 2006 Historic Preservation Award by the Lake Forest Preservation Foundation. The Lake Forest Preservation Foundation initiated this awards program to recognize and honor those homeowners and organizations whose work to preserve and protect Lake Forest’s historic visual character demonstrates a commitment to excellence in historic preservation. Thank you for being an important member of our team. We truly could not have done this without you on board. Please stop by any time to see the fruits of your labor. This letter is to acknowledge and bring attention to the exceptional service I have received from R. H. Witt and your HVAC service technicians. I have several maintenance agreements with R.H. Witt, going back a number of years. Your assigned technician continues to impress me as a true professional. His attention to small details and cleanliness are the hallmarks of a dedicated professional. He is a quick and efficient service technician that R. H. Witt can be proud of. Thank you again for the exceptional service, we will definitely recommend R.H. Witt to our friends and family. I had to write to tell you how thoroughly amazed I am at how courteous and professional your staff is. Your dispatcher let me know when your technician would be here and he arrived right on time. He quickly diagnosed the cause of a hard-to-find leak and then disassembled parts, fixed the leak and put everything back together in a surprisingly short amount of time. In a time when homeowners tend to be suspicious of all service people, it is very good to be able to work with a company and people that can be trusted. This is a much overdue letter to thank you and the members of your staff for doing such a wonderful job installing our new heating and cooling systems. Your company came highly recommended and it will be my pleasure to recommend your staff as well. From the very beginning, I knew I was in good hands. Your Salesman was a delight to work with and learn from regarding our systems. He brings a wealth of knowledge and experience to your home and makes it possible for everyone to understand what needs to happen to meet the home’s specific needs. His scheduling flexibility was amazing and greatly appreciated. He is a valuable asset that you should look into duplicating or at the very least, have someone shadowing to learn everything he knows. A big thank you to him for getting us started on the right foot and supervising the entire project. The men who worked on the installations were thoughtful, efficient and hard working. They arrived when they said they would arrive, kept me posted on what they would accomplish from day to day, and always made sure they cleaned up after themselves. They could give my husband and son lessons in that regard. It was a pleasure to work with each and every on of them. I truly enjoyed meeting and working with each and every ONE of you. Thank you to all of them for being a part of this pleasurable experience. I wish your company continued success. I look forward to a long relationship with your staff. I am writing to let you know how pleased we have been with our service with R.H. Witt. 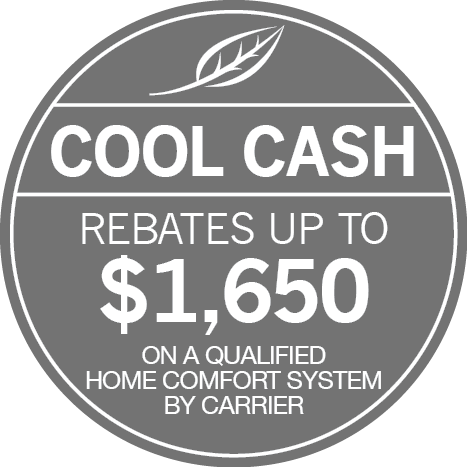 We recently purchased a Carrier Infinity furnace and thermostat and the entire process has gone very smoothly. Your Salesman was very patient with us during our initial decision making and his communication and follow through has been excellent. The two men that installed the furnace were also professional and took pride in the work. Your Salesman arrived later in the day to oversee the installation and the technician came back to do some follow-ups. Our heating system is working well and they showed me how to use all the features on the thermostat so our comfort and heating will be more efficient. Overall it as been a very positive experience and we will appreciate your work for future service. We want to tell you how pleased we were with the work your men did in installing our air conditioning system Ours is an old house – built in 1938 – so the crew had a real challenge in finding ways to snake the conduit through, making sure that every corner of the house will receive enough air flow. They were very patient in answering all of our questions and taking suggestions into account, using them if possible. They were careful not to leave piles of debris for us to clean up, and were very pleasant at all times. We thank R.H. Witt Company and your salesman for providing us with an outstanding work crew. We look forward to working with you again in the future. Thank your for your generous support to help Ms. Pam Theriault and her ten adopted children. It is a remarkable concept to take ten children from an orphanage in Guatemala and give them a new life in Glenview. Your hard work and generosity in helping Ms. Theriault is very much appreciated. People working together to make a better community is what makes our lives important. May God bless you and your staff generously for your good work! Thank you to everyone who helped out my mother when her pipes broke and she was left without heat. Each of you was so kind and so knowledgeable. We really appreciate all of your efforts to coordinate the work with the construction group. It is such a pleasure to know that there are good people out there. The little things in life really are important and this job was really important to us. 1. to the extent that your web browser provides said information, such as your e-mail address or the site you linked from, including data for website analytics; 2. to the extent that you provide said information to us in an e-mail message or comment; or 3. to the extent that you provide said information to us in a form. As you browse www.rhwitt.com, advertising cookies will be placed on your computer so that we can understand what you are interested in. Our display advertising partners then enable us to present you with retargeting advertising on other sites based on your previous interaction with www.rhwitt.com. The techniques our partners employ do not collect personal information such as your name, email address, postal address, or telephone number. You can visit this page (http://www.networkadvertising.org/choices/) to opt out of AdRoll’s and their partners’ targeted advertising.